Please refer to our stock # MB054 when inquiring. Diameter 22.75 cm (9 inches). 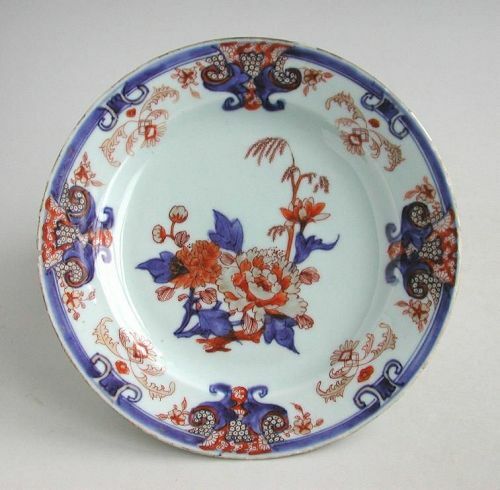 There is wear to the gliding and "fritting" to the glaze at the rim edge so it feels quite rough; also several minor chips and one larger rim chip from which emanates a short hairline. There is also a second fine and short hairline at the rim edge. Yet, this dish still has a ring when tapped and there is no repair or restoration.